Hot off the press from South Africa. 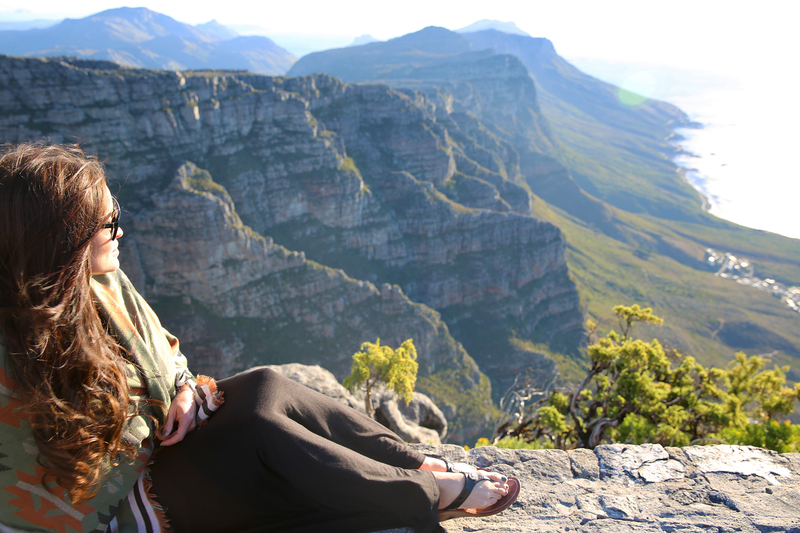 When I first started to plan my trip to South Africa, I knew I wanted to explore Cape Town, experience South Africa’s beautiful wine country, and go on safari. ROAR AFRICA put together the perfect custom-designed itinerary for me, complete with their local guide’s favorite spots. ROAR AFRICA is a team of highly knowledgeable travel experts who can help you create the African adventure of your dreams. They put together handcrafted itineraries that include Africa’s best safari lodges, adventures, villas, dining, wineries, and more. The travel specialists and guides whom are putting together your itinerary are actually from Africa, including the company’s founder, Deborah Calmeyer. The expanse of their knowledge is far wider than the competing operations, resulting in a more exclusive, more authentic experience. Researching, coordinating and planning a trip in Africa can be a daunting task and can take quite some time to put together. ROAR AFRICA made that entire process so easy. They simply asked what my preferences were and they did the rest. My experience was hassle free from start to finish. When I landed in South Africa I was met planeside by an agent who helped me carry my bags and then I was expedited right through customs. My ROAR AFRICA guide, Tim, was waiting for me in the baggage claim area. He then whisked me away to the first stop on my itinerary. Cape Town! I checked into Cape Town’s wonderful and super chic boutique hotel, Kensington Place, and then went straight out to start exploring. We went to the top of Table Mountain to enjoy the city views from up high, and got lucky with a magnificent sunset. The ROAR AFRICA team had made me some dinner reservations at an amazing restaurant downtown called The Shortmarket Club. It was exactly what I was looking for; a hip, ambient, and delicious spot that I never would’ve found on my own. Over the next few days my ROAR AFRICA guide, Tim, took me all over Cape Town. We drove the beautiful and dramatic cliffside roads that followed the ocean. 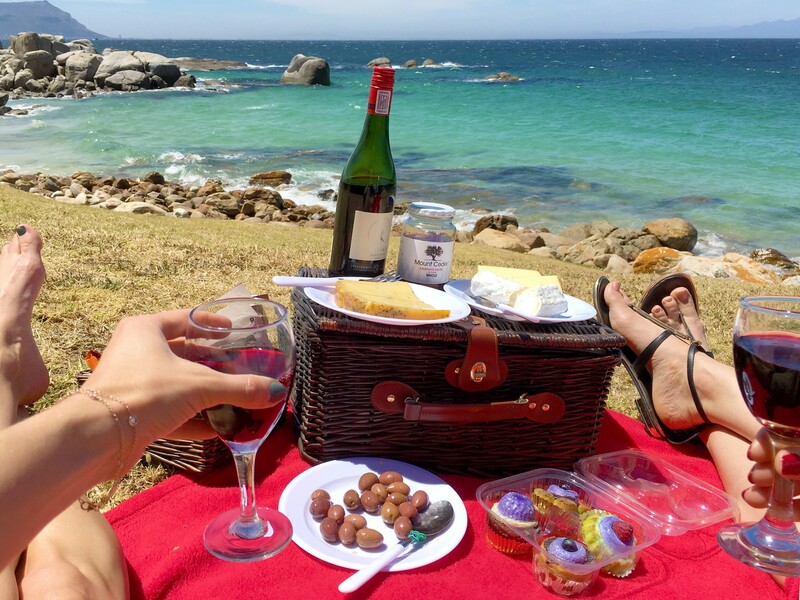 We went to markets, white sand beaches, saw penguins, and had picnics. I had no idea I’d love Cape Town as much as I did. I consider myself extremely lucky to have been able to explore with a true local. After Cape Town, Tim took me to the South African Winelands. Massive mountains and rolling hills were the backdrop to the regions many vineyards. A fabulous lunch had been arranged for me at a top winery where they had a gourmet wine pairing menu. This lunch was quite the culinary experience, and again, is something I never would’ve found on my own. Thank you ROAR AFRICA! For my time in the Winelands, ROAR AFRICA had arranged for me to stay at La Residence. This property blew my mind. It was surrounded by vineyards and mountains, and was so beautifully designed within the landscape. There were wild peacocks roaming the grounds and lavender trees in full bloom. It was straight out of a fairytale. I think I could’ve stayed there for months! Days consisted of wine tasting, hiking, exploring the quaint little towns of Franshhoek and Stellenbosch, and lounging by one of La Residence’s scenic pools. The opulent dining and buffets made me feel seriously spoiled! I had my own personalized vegetarian menu with delicious options in which to choose from. Speaking of spoiled, the bathrooms in each suite at La Residence are larger than most bedrooms. Mine had a massive chandelier and beautiful tub right in the middle. I felt like a queen! The last part of my itinerary with ROAR AFRICA was the safari in Kruger National Park. (Is any trip to Africa complete without a safari?) They set me up at Royal Malewane, which was such a memorable experience that I’ve decided to give that part its own post, which will be coming next. So stay tuned! I was hosted as guest of Roar Africa, but the opinions expressed in this article are, as always, my own. The video and photos are amazing! This looks like an incredible trip! I can’t wait to visit South Africa! Such an amazing place!! I miss Tim! And Roar Africa made it all an absolute unforgettable experience. I can’t wait to go back!! WOW! I had no clue that South Africa was so amazing. Your videos are so good and really make me want to go there. I thought that the pic of you with the cypress trees was in Italy! Now I need to go there and drink wine! I have never considered traveling to Africa, but these videos truly changed my mind. Simply gorgeous! Curious question, are those Vans you have on? Continue showing us your luxury travels–I love them! Which shoes are you referring to? If you are talking about the tan ones they are Prada.